The brief exchange (as reported by the News Agency of Nigeria via PUNCH newspaper on October 30, 2016) between Former President Olusegun Obasanjo - Onyejekwe and Mrs. Folorunso Alakija at the 2016 Tony Elumelu Foundation Entrepreneurship Forum last weekend was very instructive in so many ways. It was very instructive because it underscored the kind of mentality possessed by those who have had the chance(s) to govern Nigeria. Or it underscored the misfortune of Nigerians to have been governed by the kind of leaders they have had so far. ‘She said, “This oil block is in 5000 feet depth of water and was extremely difficult to explore. It took 15 years from the time that we were awarded the licence in 1993 till 2008 when we first struck the first oil. When this event happened, 60 per cent out of our 60 per cent equity in the business, was forcefully taken from us by the government of the day without due process. “My delight is to be able to create Nigerian billionaire and I always say it that my aim, when I was in government was to create 50 Nigerian billionaires. There is nothing unusual about Obasanjo - Onyejekwe’s failing to create 50 Nigerian billionaires as he intended. He has always failed Nigerians in every endeavour he has been involved. But the larger question remains the inability of our leaders to follow due process in exercising power. Our rulers often act as if they are kings of the jungle and that the laws of the land do not apply to them. They exude beastly instincts permeated with ruinous vendetta in manifesting congenital need to demonstrate crude power. To Mrs. Alakija, until she was allotted oil wells, no one has really heard about her. She was never associated with any known business endeavour. She did not descend from any rich family or was previously married to a billionaire of credible means. She became a billionaire because she was allotted oil wells. She is emblematic of the mis-governance that has always characterized our clime. She got to be allotted oil wells in a system where nothing was ever fair and without due process. She only used her connections with our power aphrodisiacs euphemized as rulers, to get the oil wells. Mrs. Alakija is a Yoruba woman. Like the retired General Theophilus Yakubu Danjuma she got many oil wells because of her proximity to crude power in Nigeria. None of them is from Niger – Delta. With the publicly available list of the owners of oil wells in Nigeria, the people of the Niger Delta have been evidently short changed. How many Niger Deltans became billionaire as a result of owning oil wells? The bottom line is that Mrs. Alakija did not get the oil wells through due process. When Obasanjo-Onyejekwe was acting like a bull in the china shop breaking everything in his path, he never followed due process in taking the oil well from Mrs. Alakija. The allocation of oil wells in Nigeria has always been part of crude exercise of power by our Military and civilian rulers. Generals Ibrahim Babangida and Sani Abacha, (the hero of President Mohammadu Buhari who never stole a dime of Nigeria’s money) were the guiltiest of this genre of power dispensation. Be that as it may, the poverty of Obasanjo – Onyejekwe’s leadership was manifested in the reported expressed statement that he wanted to create 50 billionaires during his tenure. This poverty of leadership in one’s estimation could only be surpassed by that of former President Shehu Shagari and President Mohammadu Buhari. One is not very sure, given the positive economic indices under General Sanni Abacha whether he could be added to this inglorious list outside tendentious fascistic and dictatorial idiosyncrasy. It is not surprising that Obasanjo- Onyejekwe could only think this way – making 50 billionaires during his tenure rather than building an economy that would create authentic billionaires. One of the questions raised by this revelation is whether Obasanjo – Onyejekwe is one of the new billionaires that were created during his tenure in Aso Rock? If so, how did he become a billionaire from having only 23,000.00 naira in his account in 1999 before assuming office? How much was his salary and emoluments as the President of Nigeria for him to become a billionaire in 2007? If the politicized EFCC under President Buhari is not able to probe Obasanjo – Onyejekwe who has literally convicted himself of corruption through this public statement, then he needs to abandon his fake anti – corruption wars. It should not surprise any unbiased observer of Buhari administration if the probe of Obasanjo- Onyejekwe did not take place. It won’t take place because Buhari was not able to go after Ibrahim Babangida and Abubakar Abdulsalaam, apart from Obasanjo- Onyejekwe. He has not been able to do so because President Buhari himself is very corrupt in his personal life and during his services to Nigeria. Apart from several evidences in public space on President Buhari’s personal acts of corruption and lack of integrity, his comfort with several crooks within his cabinet and other staff serves to confirm that President Buhari is a congenitally dishonest person. His refusal to probe former Governor Rotimi Amaechi, call his Chief of Staff, Abba Kyari to order, fire his Chief of Army Staff, General Yusuf Buratai and hold accountable his Minister of Internal Affairs in Bello Dambazzau regardless of mountains of evidence against them, shows that Buhari is a fake anti-corruption President. President Buhari’s inability to probe Obasanjo –Onyejekwe is derived from his own comfort with corruption. Hence he could only probe selectively. With so much noise made about Diezani Alison Madueke’s stealing, some of which were connected to General Dambazzau, to allow the latter to remain in his (Buhari’s) cabinet is functionally related to the poverty of leadership that Obasanjo – Onyejekwe himself manifested during his own tenure and has continued to manifest since he left office. Deriving from the poverty of Obasanjo- Onyejekwe’s leadership of Nigeria is the abject deterioration of Nigeria’s infrastructures under him and which other presidents since then have inherited and have not been able to do anything about. Rather than concentrate on building Nigeria’s economy through the development of our infrastructures – roads, hospitals, educational institutions, judiciary, airports, water ways, the police, the Armed Forces, agriculture, industrialization among many others – he was busy building the so-called billionaires who contributed little or nothing to the country’s economy. 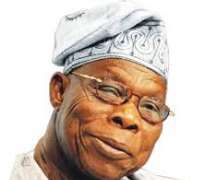 It is very evident that Obasanjo – Onyejekwe is a billionaire today given his new assets accumulated since 1999 and known to the public. But Nigerians do not have a list of the 24 other billionaires that he made during his tenure less Mrs. Alakija that he has admitted publicly as being one of them. Since this is something that Obasanjo – Onyejekwe is very proud of as part of his own achievements, even though he considered himself a failure in this regard, he should be able to come out and tell Nigerians who are these billionaires that he made. In making this disclosure, Obasanjo - Onyejekwe should also avail Nigerians with how these people made their billions from the Nigerian economy under him. What kind of jobs did they do or create? What kind of contracts did they execute? What were the processes followed in empowering them? Or were they just conduits to steal the commonwealth and eventually took their own shares of billions that passed through them? By releasing their list, Nigerians would be able to establish their pedigree and understand if there is the need for them all to be probed to return Nigeria’s billions. If it is discovered that Obasanjo – Onyejekwe’s billionaires have actually bilked the country, then the EFCC should invite him for a meeting. If Buhari’s EFCC would not go after President Obasanjo – Onyejekwe and his billionaires to establish if their billions were stolen from Nigerians, should we still be talking of any war on corruption? Any benefit of the doubt given to President Buhari based on his fake integrity ought to become null and void. Or is this war on corruption only meant for certain Nigerians and not others? President Buhari should know, assuming he has the intellectual ability to understand, that on this war on corruption, he could only deceive some of the people some of the times but not all the peoples all of the times. Nigerians are not stupid and they are paying attention.